Looking for Country with and easy commute? 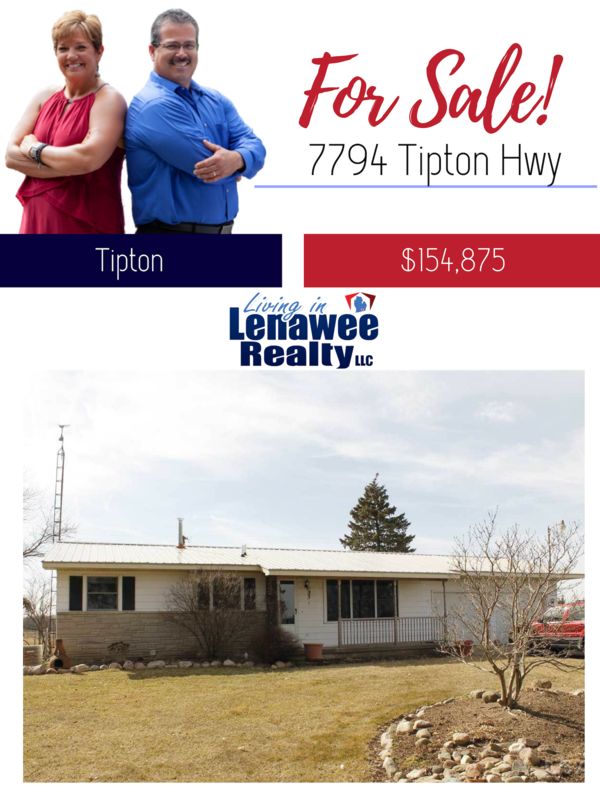 Welcome Home to 7794 Tipton Highway! This 2 bedroom 1 1/2 bath ranch home is move in ready and offers 1.66 acres. Home features upgraded kitchen and bath, finished basement, and spacious bedrooms. Enjoy the wonderful setting with plenty of fruit trees, grapes, and garden area. Looking for a soccer field or room to build a pole barn/ she shed? Nature abound and this home is surrounded by farmland. Newer metal roof and generator ready! Easy to show and buy! Call or Text 517-403-6939 for a private showing! For More pictures and information click here! Check out other homes for sale in the area! Want to know how much your home could sell for?